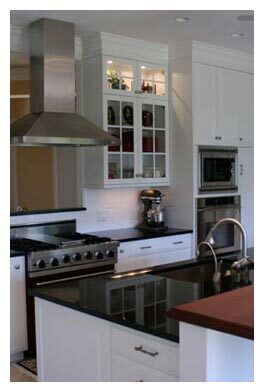 John F. Murphy Construction Company is committed to providing the highest standards of quality and efficiency. We offer a broad spectrum of fully integrated expertise with one common objective--improving and adding value to your construction project. "Defining the Vision" - John F. Murphy Construction Company can assist in the conceptual phase of a project, help articulate the overall objectives of the project and define the potential for success. Elements of Pre-Construction Planning include: Design Overview, Feasibility Analysis, Prioritizing Objectives, and establishing parameters for Quality, Cost and Schedule. "Setting the Stage for Success" - John F. Murphy Construction Company knows that attentive planning with astute attention to details is key to realizing a successful project. The objectives established in the Pre-Construction Planning phase are further refined as issues like Design Management, Constructability, Drawing Interpretation, Material Selection, Material Procurement and Final Scheduling are set and strategies determined. "Staying the Course" - Ensuring that the previously established strategies are fully realized through the diligent management of all aspects of construction such as: Cost and Schedule, Field Supervision, Construction Administration, Quality Assurance and Safety Compliance. From a project's inception to completion, John F. Murphy Construction Company brings an owner's perspective to the construction process. Focusing on client communication, teamwork, and strict adherence to cost and schedule parameters, we are able to deliver a range of multi-disciplined construction services to our valued portfolio of clients.